We don’t need a fake you. We don’t need you to copy someone else. We don’t need you to put on a false front in an attempt to impress us. We don’t need you to be who others think you should be. With all of your imperfections, insecurities and idiosyncrasies. We need your unique perspective. 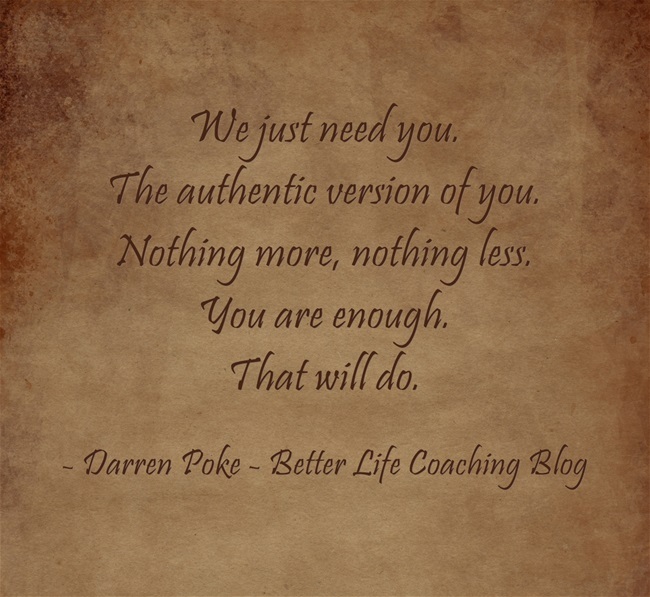 The authentic version of you. Previous post – Are You Tricking or Treating Yourself? Next post – What Does Fear Really Prevent? « Are You Tricking or Treating Yourself?